Wow, these look amazing. 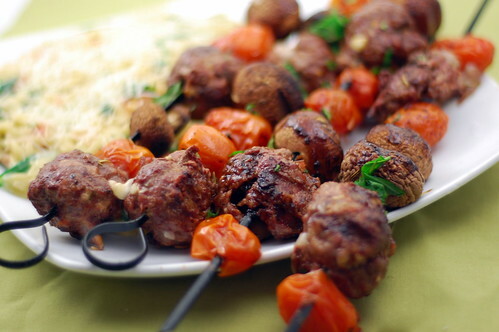 Is it tricky to get them (including fontina stuffing) onto the skewer? I wonder if it would be easier to throw them on the grill in a mesh pan? We don't have an outdoor grill but I think these would work on an indoor grill pan too right? Probably less of a chance of them falling apart. CAN WE SAY YUM!!!! omg what a terrific idea! I love this! Oh! that looks delicious, thanks so much for share it, good recipe for weekend.